Upendra's question is: "how do I know what it compiles to?". Good question. First some history. Back when ColdFusion ported onto Java in CFMX 6.0, it went from being an interpreted language to being a compiled one. Not compiled to a native executable like C code would be, but compiled into Java bytecode that is then executed by the JVM. Your CFML itself is not executed, it's just an intermediary language between you and the JVM. Note: OpebBD is still interpreted, but ColdFusion and Railo CFML are both compiled. 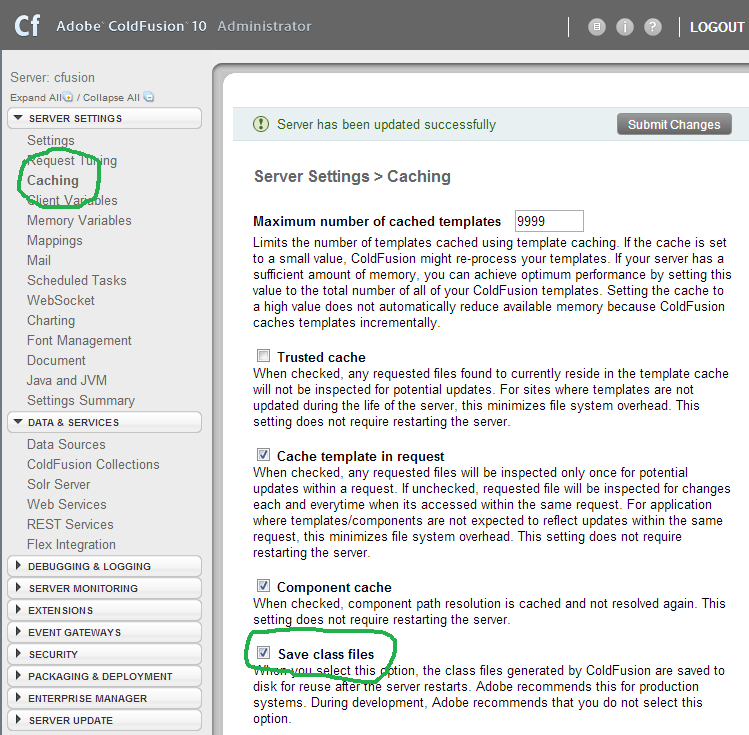 Initially on CFMX 6.0 the CFML was translated into Java source code, then that was compiled. 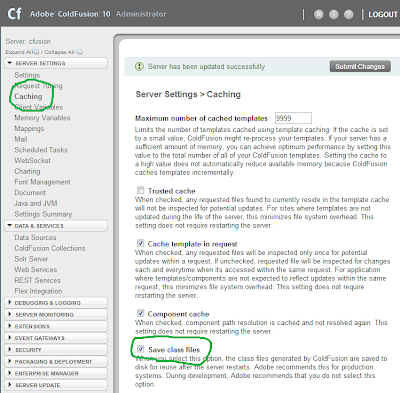 If one looked in the cfclasses dir (C:\apps\adobe\ColdFusion\10\cfusion\wwwroot\WEB-INF\cfclasses for me), one could see the .java files appearing as you browsed to a .cfm URL, and then being replaced by .class files shortly afterwards. This process was as slow as a dog, and by the time 6.1 (or perhaps even update 3 of 6.0? ), the intermediary step to Java source had been scrapped, and the CFML was compiled straight to bytecode. Much quicker. The compilation process is such that the resultant class file is loaded into memory (which is where it needs to be to be executed), but if one has a setting set in CFAdmin, then the .class file is also written out into thar cfclasses dir still. The idea is that the compilation process is quite an overhead, and if the results only go into RAM, they're lost when the JVM restarts. So to expedite things next time the class is needed, if it's there to load from disk it's much faster than to recompile from CFML. I discuss my thoughts on this in an earlier article: "Saving class files in ColdFusion (and Railo): anecdote should not take precedence over analysis". Note the filename cfgdayWorld2ecfm576519084.class is the name of the CFM file (with the dot being encoded to 2E which is the fullstop's ASCII code in hex), followed by some sort of hash of the file name (I'm guessing). If I alter the file, the code doesn't change, so it's not based on the contents or the timestamp. It's possibly based on the file's path? Dunno. Railo's version is certainly easier to follow and has far less generic clutter in it (and hard-compiled debug stuff, like all those _setCurrentLineNo() calls in the ColdFusion version!). The last thing I'd say is that obviously ColdFusion itself is all Java code, so it is possible to decompile its code too. The only thing I will say about that is... check the laws in your jurisdiction before you do so. Well: before you share any info you might glean from doing so, anyhow. All I'm saying is... it's possible. I will only ever post the decompilation of my own code on this blog. Anyway... there you go. All this before breakfast time! (And even before coffee! Blimey!). I better actually get out of bed soon, I s'pose. I'll leave you with that imagery.